Online businesses are taking advantage of loopholes to look the other way when discrimination against Black folks happens. Reports have been coming in for years that Black people who use Airbnb are being discriminated against, being charged higher prices or outright denied service based on their race. Black hosts offering rentals on Airbnb get lower offers than white hosts, even if they live in the same neighborhood. Despite the proof, Airbnb has refused to take action or responsibility. We can’t let that continue. We, the undersigned, are writing to you to demand accountability for Black people who use your app. For years racism and discrimination have been impacting the experiences of Black people who utilized your app to host others in their home or those seeking rental accommodations. Studies have found that anyone with an “African-American sounding name” is significantly less likely to be accepted for a reservation, and that Black folks get less money for their rentals compared to others in the same area. When pressed to address these problems, Airbnb has done everything possible to shirk responsibility. For example, focusing on discouraging anonymity as the reason for maintaining full name and photo disclosure on rentals. But Black folks aren’t asking to be anonymous, or for an exception to policy. We’re seeking equity and fair treatment. Airbnb was founded in 2008. You hired your first director of diversity, responsible for educating internal employees on racism and bias, in 2016. If it took 8 years for Airbnb to acknowledge the need for basic diversity education among its staff, then how long will it take you to recognize the need for concrete, effective action to prevent discrimination against customers? Even one more day would be too long. Airbnb prides itself on providing opportunities for both hosts and renters, and on being a superior alternative to other industries. Yet it can’t fulfill any of those promises when it looks the other way and allows discrimination to occur against Black people and other people of color. There’s nothing innovative or disruptive about replicating and reinforcing racism and oppression. Customers who have their identities verified by Airbnb should not be required to show their full name or photo when seeking a rental. Any host who demonstrates discriminatory practices should be terminated from the app permanently. Anti-racism and discrimination education should be mandatory for any host before they are allowed to use the app. None of these things go against current Airbnb practices. 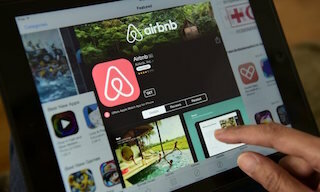 All of them are well within the power and ability of Airbnb to implement. And most importantly, they would signal to hosts, renters, and observers alike that Airbnb has made a commitment to standing for equality for all. We understand that building a community of trust and responsibility is key to the success and mission of Airbnb. Taking action against racism and discrimination should be part of that process.